Mighty No. 9 is an action platformer 2.5D side scrolling video game which takes the best features and elements of 8-bits and 16-bits classics that you know & love and this game transforms these elements and features into fresh mechanics and modern tech to provide you with something amazing and fresh! In Mighty No. 9 Walkthrough we will provide you a complete game from the start to the end with different gameplay and strategy tips for this action-platformer game on PlayStation 4, Xbox One, PlayStation 3, Xbox 360, PC/Mac, 3DS and PlayStation Vita. This action platformer video game Mighty No. 9, is a Japanese 2.5 D Side scrolling action game that will provide you the best elements of 8 and 16-bit classics. In Mighty No. 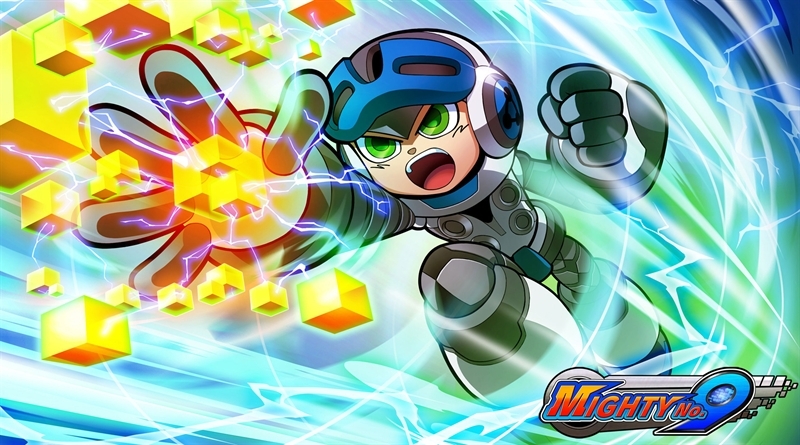 9, you’ll play as Beck, a 9th in the line of mighty and powerful robots and your are the only robot not infected by the mysterious computer virus which has caused the mechanized creatures of the world to go berserk. Jump, Run, Blast, and Transform your way through 12 different and unique stages using your abilities and powerful weapons stolen from enemies to eliminate fellow Mighty Number robots and then confront the final evil boss who threatens this planet! Every aspect and feature of of Mighty No. 9’s development such as level design, art, programming, music, etc. is being cared by Japanese game creators with great experience in this genre. Well that’s all you need to know before heading to the walkthrough section of Mighty No. 9. These walkthrough videos of the action platformer and side scrolling game Mighty No. 9 are created by PLAYGAMES, I hope you guys will definitely enjoy this!